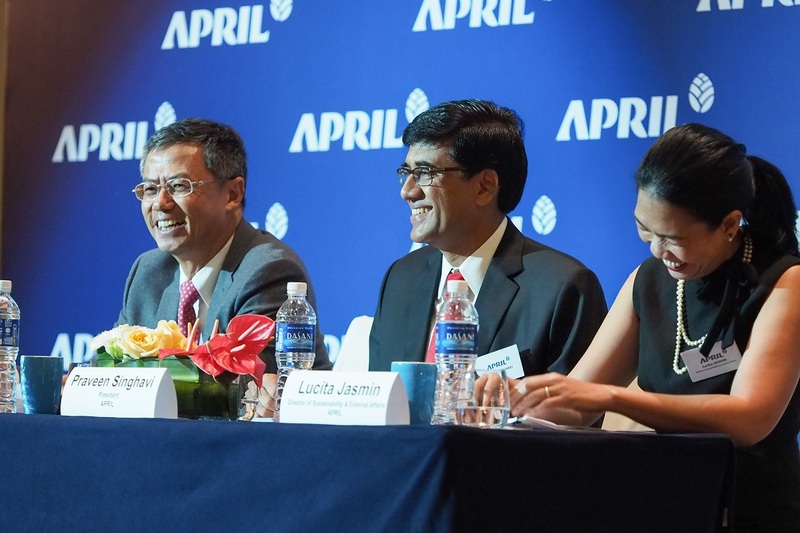 RGE Vice Chairman and APRIL Group Chairman Bey Soo Khiang, APRIL’s President Praveen Singhavi and Sustainability & External Affairs Director Lucita Jasmin each spoke and updated guests on APRIL’s good and sustainable business. 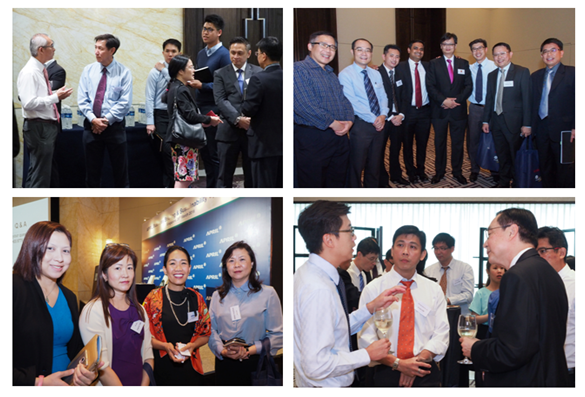 As part of APRIL Group’s effort to continually communicate and engage its stakeholders in a transparent way, APRIL Group hosted briefing sessions for the banking community in Hong Kong and Singapore respectively on March 21 and March 28, 2016. 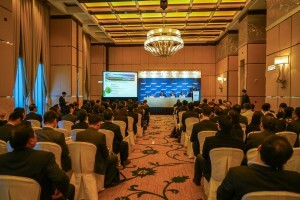 Over 180 bank representatives attended the sessions which covered not only the group’s financial performance but also updates on its business plans, industry outlook, and mostly importantly, sustainability efforts and achievements. Welcoming participants at the briefing in Singapore was RGE Vice-Chairman Bey Soo Khiang who also thanked banking partners for their continuous trust and confidence in APRIL Group and other RGE companies. Mr Bey reaffirmed that all RGE companies uphold RGE’s 4 C’s business philosophy: That business must be conducted in a manner that is Good for the Community, Good for the Country, Good for the Climate, and only then will it be Good for the Company. A batik souvenir for our guests. 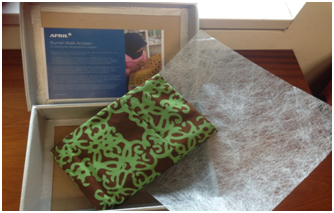 The batik is made by women trained under APRIL’s community development program. Rumah Batik Andalan, a cooperative managed by APRIL, markets the batik products. APRIL Group President Praveen Singhavi shared the group’s 2015 business performance and its focus for 2016. 2015 was marked with volatile commodity prices. APRIL’s products faced stiff price competition from Brazil. 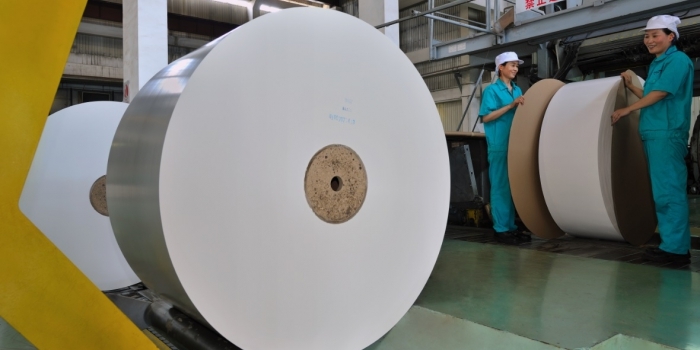 However, with strong pulp demand from China, global paper demand growth and operational excellence, APRIL Group remained a leading industry player. 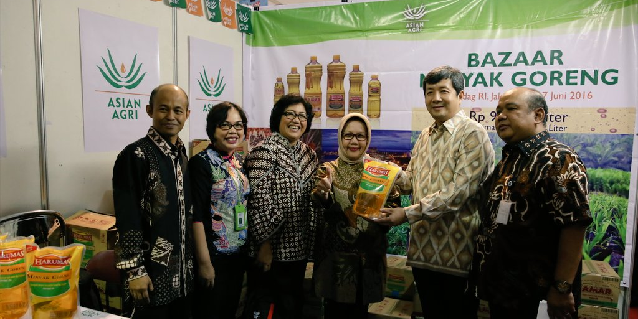 As of 2015, APRIL Group is the second largest bleached hardwood kraft pulp (BHKP) global producer and the third largest uncoated wood free (UWF) producer in Asia. 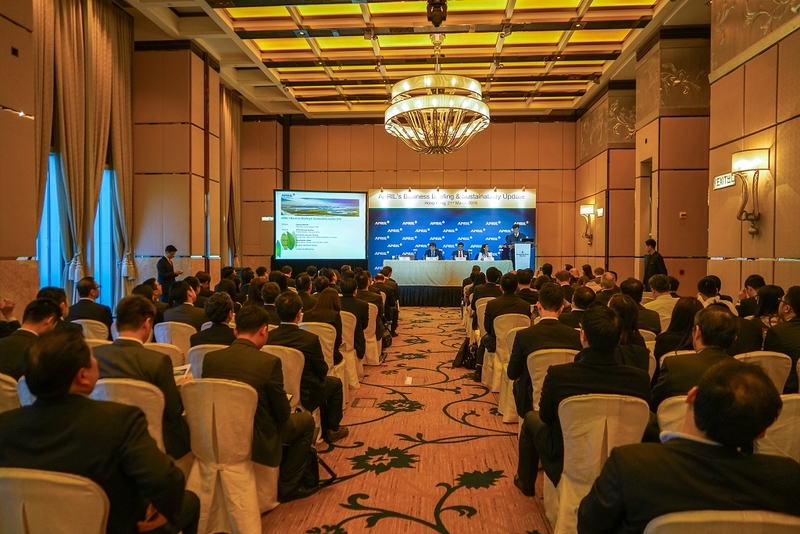 In the same year, APRIL Group also completed a USD 1.1 billion syndicated loan facility with a total 28 international and regional banks across Asia, Europe, US and the Middle East. In 2016, APRIL Group will focus on value-added production, improving market diversification, optimising profitability through product mix and country allocation. In addition, APRIL Group will continue improving its operational excellence through LEAN management. 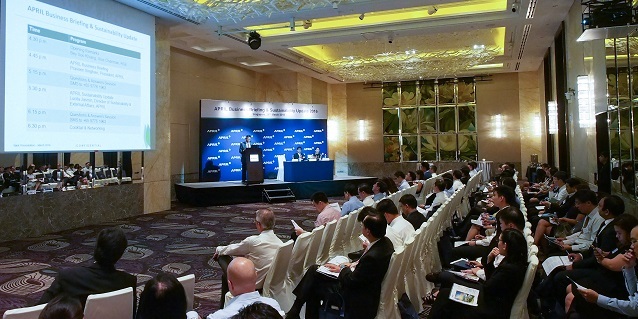 RGE Group Treasurer Patrick Ng speaks before banking representatives in Hong Kong. Through Lucita Jasmin, APRIL’s Director for Sustainability and External Affairs, the audience was updated on APRIL’s sustainability journey and implementation efforts for its Sustainable Forest Management Policy (SFMP) 2.0. Of particular interest was APRIL’s approach to protecting its conservation areas through its ring concept plantation, as well as fire management and prevention strategies to safeguard its plantation and conservation forests. The audiences also received an update on APRIL’s engagements with its Stakeholder Advisory Committee, environmental NGOs and other collaborators.